My new puppy love born during my birthday month. His name is Kobe. 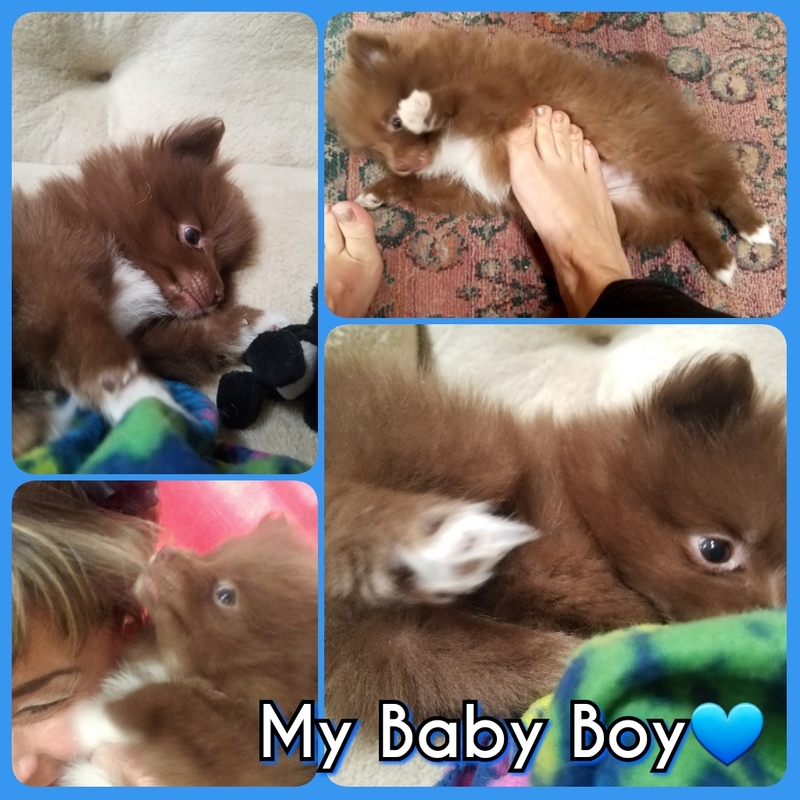 The baby Pomeranian was a birthday gift from my brotha. He’s the latest addition to the “White Foot Clan” and I’m loving this fur ball to death. This entry was posted on October 31, 2017 at 7:25 pm and is filed under Animals, Awesomeness, Connection, Family, Family Photos, Light, Love, Personal Glimpses. You can subscribe via RSS 2.0 feed to this post's comments. You can comment below, or link to this permanent URL from your own site.